Just minutes away from historic Georgetown, Texas and the beautiful Central Texas Hill Country. 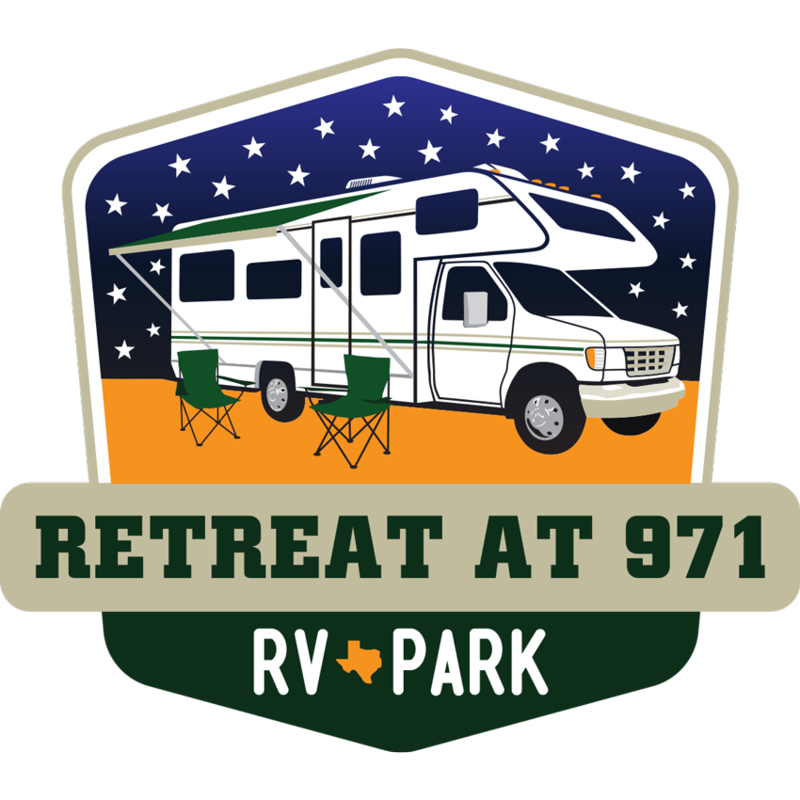 Retreat at 971 is a full-amenity RV resort offering a relaxed, country setting, with the convenience of local cities just minutes away. Situated on the outskirts of the Austin metro area, our location includes beautiful downhill views, surrounding grass fields and a wide night sky. Illuminated areas and driveways throughout the property, a perimeter fence and an automatic gate opener provide secure, easy 24-hour access to the park. We offer monthly (long term), weekly and daily site reservations. *Retreat at 971 has high water pressure. Please remember to install your Water Pressure Reducing Valve when connecting to a site’s waterline. Wishing y’all a new year filled with health, happiness and prosperity! On-Site Laundry Room with commercial washers & dryers. 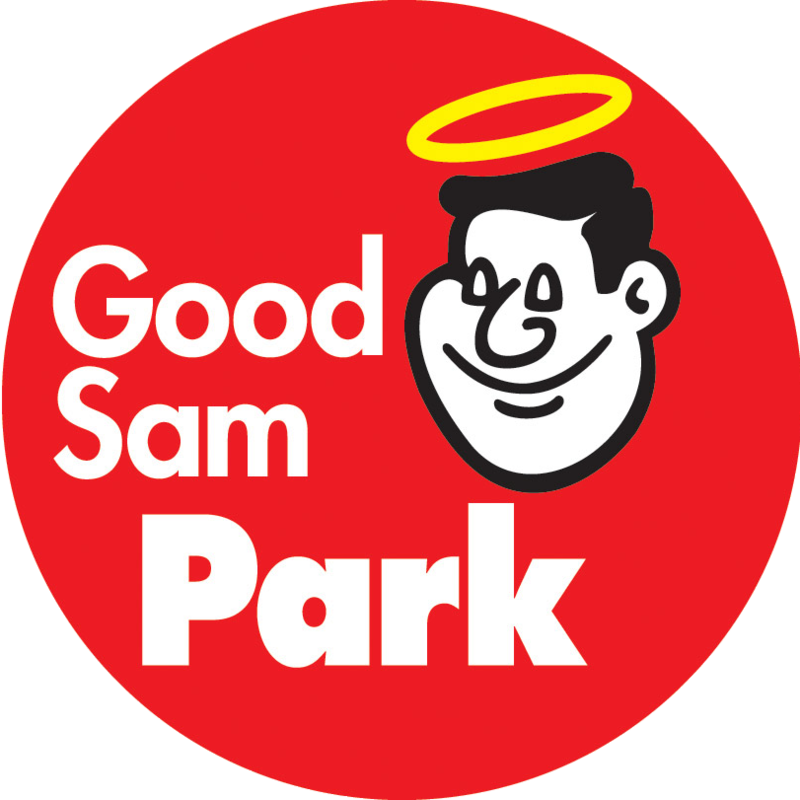 We are now a Good Sam Park! Use your membership to get 10% off our Daily Rate. We also honor TACO, AAA and Military. 10% OFF on your Monthly Stay!!! Valid ONLY on reservations with a check-in date between May 1st and July 1st,2018. *Limit of 3 months at discounted rate. 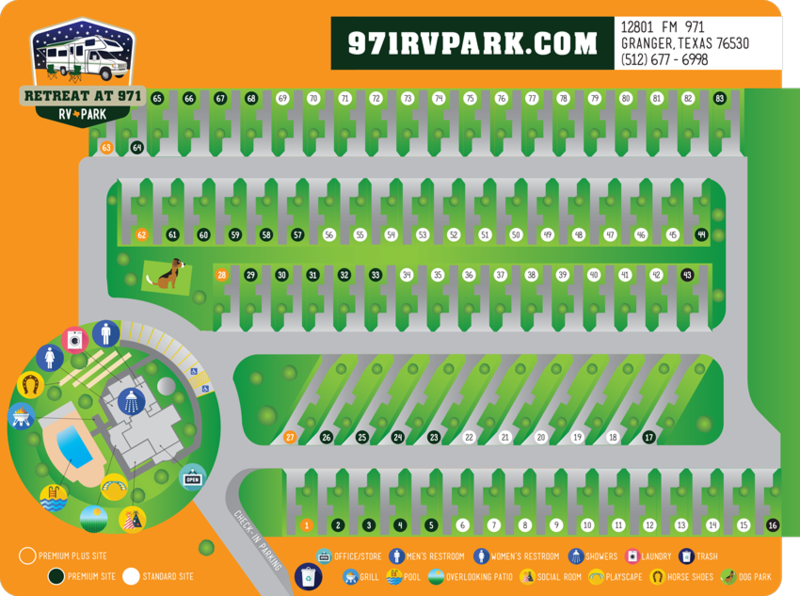 Our Site Map is here. Check it out! Please check our Rates & Reservations page for more info and to find out about additional savings on your Long-Term stay. Please contact us for the latest site availability.